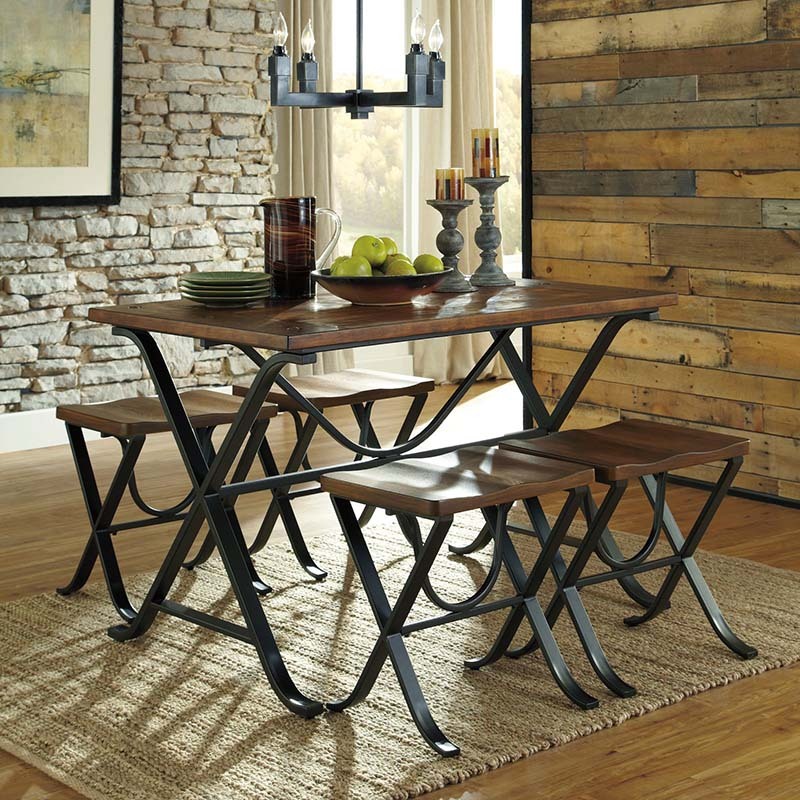 The Ashley Freimore 5-Piece Dining Set has the picturesque appearance and charm of a picnic table! This pine package features rustic, recessed nail detailing and is supported by iron-toned, X-shaped bases. Set includes 4 backless stools and 1 table.